Harriet Brown is an eclectic and curiosity-driven writer and speaker whose work on subjects ranging from fat acceptance to forgiveness appears in the New York Times Magazine, O, The Oprah Magazine, Health, Glamour, Vogue, and many other publications. Her radio essays can be heard on NPR's "All Things Considered" and "To the Best of Our Knowledge." A frequent contributor to the Tuesday New York Times science section, she specializes in speaking about issues that affect the lives of women and children. Her latest book, Brave Girl Eating: A Family's Struggle with Anorexia (William Morrow), recounts her family's efforts to help their oldest daughter recover from anorexia nervosa. In Brave Girl Eating, as in her keynote lectures, Brown sheds light on traditional approaches to "curing" anorexia, which are to cut the patient off from the family and "retrain" her beliefs about food. Success with this method is only slightly higher than utter failure - 30% recover; 20% die. The rest live in between. Brown also presents extraordinary science about what starvation does to the mind, and how difficult it is to bring a body back to health from the brink of starvation. Brown and her family worked with a new and different approach to treatment called Family Based Treatment (FBT, aka The Maudsley Approach), which involved focusing all their family attention inward and on Kitty, and making sure, the way they would if she had cancer, that Kitty took her full dosage of "meds" - food - each and every day, to bring her back to health. Brown is the editor of two anthologies (Feed Me! and Mr. Wrong) and several other nonfiction books, including The Good-Bye Window: A Year in the Life of a Day-Care Center. She co-chairs Maudsley Parents, a website of resources for families struggling with eating disorders, and is a member of the Academy for Eating Disorders. Brown is an assistant professor of magazine journalism at the S.I. 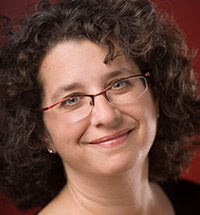 Newhouse School of Public Communications in Syracuse, New York, where she created Project BodyTalk, an audio project that collects commentaries about people's relationship to food, eating and their bodies. She lives in central New York with her family. "Brave Girl Eating is a story that gets too close for comfort; it's an honest account of the toll anorexia takes on the writer's family and their tenacious, loving efforts to fight back. Harriet Brown is an intelligent, elegant writer and this book offers both solace and useful information for families struggling with eating disorders." "As a woman who once knew the grip of a life-controlling eating disorder, I held my breath reading Harriet Brown's story. As a mother of daughters, I wept for her. Then cheered." "Brave Girl Eating is one of the most up-to-date, relevant and honest accounts of one family's battle with the life-threatening challenges of anorexia. Brown has masterfully woven science, history, and heart throughout this compelling and tender account. Brave girl eating was fortunate to have one brave family." 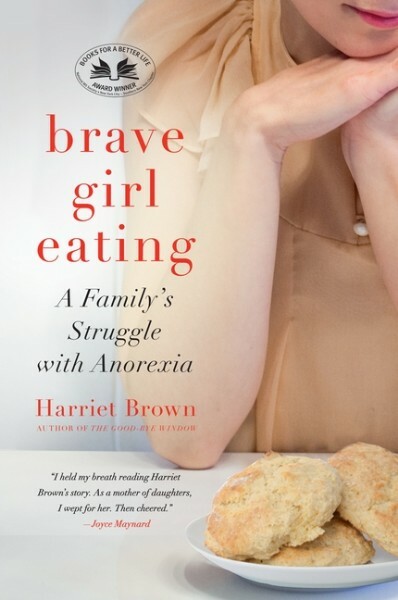 "Harriet Brown's Brave Girl Eating is an up-close-and-personal account of one family's struggle to help a child with anorexia nervosa. What sets this book apart is the author's incorporation of clinical research findings from the field of eating disorders into the story of one family's struggle. Brown's tale of how her family was able to participate in her daughter's recovery process is a compelling story of family strength and an inspiring story for all of us committed to treating individuals with eating disorders." "Brave Girl Eating is an inspirational story of one courageous family's fight against anorexia nervosa. We feel the heart-wrenching nature of anorexia through the eyes of a mother who will never give her daughter up. But more important, we learn that anorexia can be defeated, and about current research and treatments that can be part of the journey back to well-being." "Deeply honest, captivating, and ultimately inspirational, Brave Girl Eating is the moving true story of one family's experience with anorexia that traces a young woman's struggle from the disease's earliest stages."